Welcome to my first ever 12 Days of Christmas Giveaway, sponsored by American Crafts! From December 11 until December 22, each day I will feature one of the products from my new calligraphy collection. 12 Winners will be announced on December 23, 2017. You could win Brush pens, paper pads, journals, stamps and more! To be entered to win, leave a comment answering the question of the day. On the Ninth Day of Christmas….American Crafts gave to me… Kelly Creates Peace Journal. Here is the perfect space to hold all your creative ideas…combining the best of both planner and bullet journal worlds! This A5 hard cover binder comes with 12 months worth of dot grid paper PLUS the bonus Journal Divider inserts pack AND the Journal Accessory kit that contains stickers, tabs, washi tape and small brush pen! To enter to win this Peace Journal and 2 Journal Accessory kits, leave a comment telling me one of your big goals for 2018. I will work to live in peace and joy this year in my life. Losing weight, learning and enjoying more about brushlettering and drawing. Managing stress with me time! To complete our home renovations in time for a new grand daughter. To be more compassionate, show more empathy, love unconditionally. My biggest goal for 2018 is to set up my own Etsy shop and become more familiar with different writing tools such as chalk and digital calligraphy! Let’s go 2018! We have 2 goals as a family for 2018. One is to ‘Collect moments, not things’ and The second one is to ‘Simplify’. The kids are really excited about it. To finish my MEd. 😊 while keeping my sanity. One of my big goals for 2018 is to become more creative with my BuJo. I’d like to decorate more of the pages with doodles and flourishing which I didn’t do with my last BuJo. This will be a big challenge as I’m not naturally artistically inclined. I intend to get some inspiration from social media and books. I have three beautiful girls that take up all my time. I make the goal to make more time for myself because I love letters too! My biggest goal for 2018 is to continue to eat right. Working on in 2018 less chaos and more quiet peaceful life happiness! One of my biggest goals fot 2018 is to build my accounting firm that my husband and I launched this year. We are excited to retire my husband from his corporate accounting job! One of my big goals is to cultivate my relationships. All of them. One of my goals is to practice my calligraphy consistently. At least 5-10 minutes every day. Thanks for the chance to win none of my 2018 goals is to make time to learn lettering! it should say One of my goals is to make time for lettering. Biggest goal for 2018 would be to get into the Master’s program at my school! My biggest goal for 2018 is to move to a new state, and find jobs for my hubbie and myself, and a new place to live. Hubbie got downsized a few months ago and it has been an absolutely stressful, frustrating time. We are hoping and praying that the doors open for us in early 2018! My goal for 2018 is to cook one new international meal a week! Gotta get some variety this year! 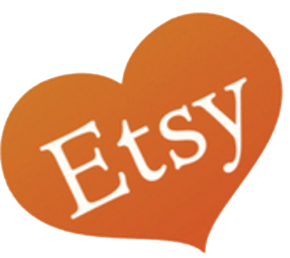 My biggest goal for 2018 is to create my own Etsy shop and start selling some items that I have been working on. Calligraphy has become a recent passion of mine – I originally learned so I could write my own signs for my wedding – but it has turned into so much more! I feel like this journal would be the perfect thing to keep me on track with my goals for 2018. I want to be able to help other Brides with their vision for a perfect wedding. My daughter is getting married in Oct 2018 and I would love for my hand lettering skills to be “good enough” that I can address the invitations, do signs for church and reception and simply help individualize this important day for her and her fiancée. So – my goal is to find the right tools that with practice will help me improve. One of my big goals for 2018 is to practice my hand lettering more often. I’m a beginner with brush pens, and I’ve heard practice really does make a difference. One of my big goals for 2018 is to set aside more ‘me time’ to spend Crafting. My biggest goal for 2018 is to finish my Education Assistant course and get a job with exceptional students. One of my big goals is to spend more time outdoors camping and hiking! One of my goals for 2018 is to get a lot better at lettering and maybe even start a business! Thank you for hosting the eve, Kelly, and thank you, American Crafts, for the kind gifts! I hope to buy a house and have my craftroom!!! One of my biggest goals for 2018 is to create more to start using up my craft stash. One way I hope to achieve this is by creating cards for an organization that accepts & distributes cards to children’s hospitals. Thanks for the chance to win. Good luck everyone. My biggest goal is to do the half marathon on June 2nd. I hope to finish between 2:00-2:30hrs with no injuries. To get my life back on track. 2017 was the worst year of my life !! Try and connect and be present with family & friends. And most importantly, be kind. It’s not as easy as it sounds. Exercise and lose weight; Declutter my house 😬 and live a more minimal lifestyle. Also, would love to make new friends (the type of friendship that feels like family)!!! Starting back on an exercise program and eating less junk. One of my biggest goals for 2018 is to get fully healthy again – fit, active, balanced. It’s a tall order, but it’s necessary! I am reading “A Simplified Life” and so that’s my new year’s goal! To be more active with my kids. Like more park hikes, bike rides, games of tag, or even just swinging at the park. My biggest goal for 2018 is to get healthy and lose weight. I recently retired due to health issues. I want to enjok my retirement and my grandchildren. Finally learn calligraphy 😉 for real!! get my craft supplies organized and PURGE! If you’re looking for a place for things to go, myself and other disabled crafters are always looking for items. My 2018 goal is to start leading workshops in the community for people with disabilities, mental health issues, etc. And to be able to teach people how to do things cheaply. To get healthy! Not to lose weight, but to get healthy!! Selling my house and moving closer to my grandkids!! My biggest goal of 2018 will be to pay my house off!!! The finish line is sooo close and I think we’ll be able to do it this year. Never thought owning a house was in the cards for me, life can throw you curve balls sometimes and sometimes the pitch is perfect and you knock the ball outta the park. So glad I took the swing. Merry Christmas everyone! Biggest goal… clean up my craft area! I am so in need of organizing things so I can find what i need when I want it! Make my kids a chore list and actually get them to do the chores! For 2018, one of my big goals is to cook more at home to eat healthier. My big goal for 2018 is to grow my art biz and produce additional classes on skillshare! Every year I tell myself that I’ll be more organized and productive, but it’s never happened. Now that I’m facing the consequences of my lack of choices, I really want to be efficient in 2018, that way I can find time for my hobbies. 1. Get back to the weight I was before my 2.5-year-old was born (I’ve already started on that one!) and keep a healthy lifestyle with diet and exercise. 2. Be more positive in my thinking (I suffer from anxiety). My biggest 2018 goal is to make my office/craft room my creative haven by being organized and set up to work any time. Declutter and re-organize my craft room, and spend some time EVERY day practicing my writing! To lose some weight. I really want to get it done in 2018. To get my last child through High School, off to college annnnnnd to practice my brush lettering!! Travel more and learn more about different cultures! Take better care of my health and try to get some more of my scrapbooks finished!! My biggest goal for 2018 is to be healthier and to get fit. I’m planning to be vegan for January and do some more running. For 2018, I think reading my Bible more and making the most of the time I have with my family. My goal is to find a mother-of-the-groom dress for my son’s July wedding, and get moving so that I feel good wearing it! Big Goal is to finish projects I have already started. My main goal for 2018 is to use a planner. I try to so several Bible studies through the year and I get behind because I forget what I am doing. I’m going to use the planner for keeping me organized with them. Get my scrapbook albums caught up to my kids current ages. One of my biggest goals in 2018 is to simplify and prioritize! My big big goal for 2018 is learning sign painting! I’m so excited!! So beautiful the peace journal! To try to allocate me time, and to spend time crafting. To save money for a trip to Florida to see my family!!! Two important goals for 2018: Write a book and learn brush lettering/calligraphy. Leading a Bible study in an assisted living home. I want to give back to my local community and show them love…and take my kids in to show them how to love on others and what a gift our elders can be to us! To lose weight. And to become more organized & self-disciplined. My biggest goal for 2018 is a joint goal with hubs: to pay off his truck (18 wheeler) and trailer. It’s a stretch goal for his first year as an owner-operator, but I know we can make it happen! Also, my biggest individual goal is to build my calligraphy business so I can retire from my corporate job before age 30 (early 2019)! To embrace ‘The Life Changing Magic of Tidying Up’ by M Kondo. And thanks so much for the chance to win these lovely items! For 2018 one of my big goals is hopefully find a place to be able to work and sell my floristic creations. My goal for 2018 is more drawing and painting, learn hand lettering, make wall murals, start the photography course and design a calendar for my parents with family photos. I just heard about your great website, checked it out and thank you for inspiring me!! I finally finished my last Fine Art class will ‘graduate’ in June and my goal is to make this Art thing into a fabulous career like you have done. Must get practising! I have a few. See my family more often as they live far away. Focus on my overall health and start focusing on what I have instead of what I don’t have. I want to become a real crafter! To allow my inspirations and dreams to become more than just a thought. Finding the time and energy for all the crafts I love to do! One of my big goals of 2018 is to finish projects I start! I am notorious for buying supplies for all these great ideas I have, then I never do anything with them again. This is the year I want to change that! In 2018 I will clean and organize my craft room/studio so I can FIND things when I want to create and keep it that way. The same as every year, health and getting organized. I want my house back. Spend more time for myself and more time in thought and prayer. To not make any resolutions I won’t follow! To do well in college! One of our big goals is to sell our house and get moved on the shore and decluttering anything we don’t use or haven’t used in the last 6 months. Trying to simplify our life some. I must be one of the few who just does not have any resolutions or goals for 2018. I’m retired, and I am just going with the flow. I could lose a few pounds, but hey…I’m otherwise healthy. So praying for my family to be happy and healthy. Finish the “tidying” purge. And more importantly art daily, a creative pursuit even for just five minutes is my goa for 2018. To loose weight and improve on lettering. I want to find what I am passionate about and hopefully take a new career path! My biggest goal for the year 2018 is to learn “The art of brush lettering”. Kelly first I want to congratulate you on reaching one of your goals, to have your very own line of products with American Crafts! Simply amazing!! Funny you should ask…I have a combo goal….to read my entire bible chronologically in one years time (I have already started and my completion date should be December 17th 2018 and the second part of that goal is to journal about it daily!!! What a great tool to help me complete my goal! A Peace Journal is now on my Wishlist! One of my goals for 2018 is to go camping more with my family. Thank you for setting up these giveaways. My goals for 2018: be a better wife, move up in my career, learn a new hobby, be more positive. My husband and I just started our 18 for 2018 list and one big thing is getting a bedroom ready for a guest room, which means getting rid of many things in the process. One of my big goals for 2018 is to be a stronger leader. Take more pictures with family and friends. My biggest goal in 2018 is to grow stronger in my faith and closer to the Lord! To banish my negative thoughts! I think my main goal is to find more time for me. There is so much lettering and crafting that I want to do and try. I need to relinquish some control and make myself happy more often. My biggest goal for 2018 is to get organized and buckle down to start really making and selling my items. I craft a lot, but can’t make myself stay focused on it. I always have people interested in buying things but procrastinate. I want to get better at not doing that! I am just learning brush lettering and I love it. I am practicing a lot so I hope for the New Years to do my on signs and art. One of my goals in 2018 is to do more crafts. It lowers my stress! I plan on continuing my memoir writing and hope to write a novel. My biggest goal for 2018 is to maintain my class rank and graduate valedictorian, and hopefully get accepted into Notre Dame! Goals for 2018 include learning and practicing brush lettering, organizing my house and cleaning out the garage. My health is my first priority. After that, it’s spoiling my grandson! Practice my lettering and use my gifts and talents for God. My goal for 2018 is to retire! My biggest goal is to make a huge lifestyle change regarding diet and actually stick with it! Happiness and capturing more moments with my family. My goal for 2018 is to have more free time! Get better at my calligraphy and become active. Definite goal is decluttering out household, it is causing constant stress. 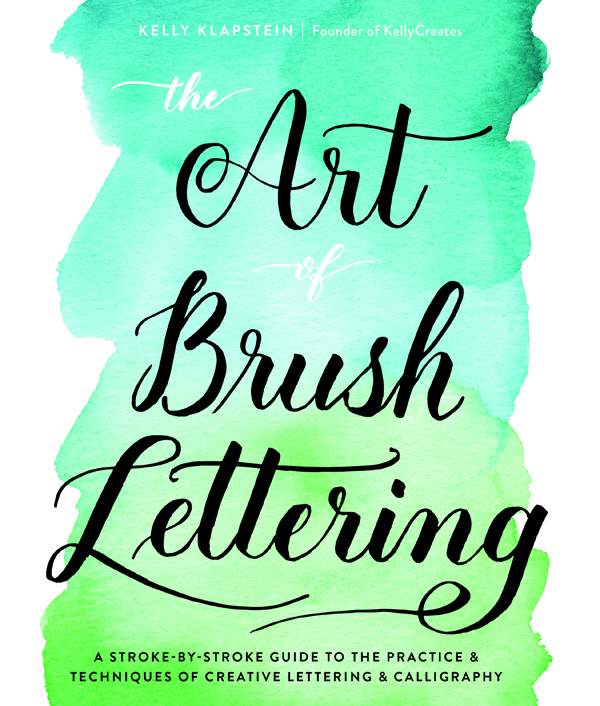 On the calmer side…learning to do brush lettering from Kelly is my personal improvement goal! To succeed in my new job! I hope to be able to hv a baby this year. I lost one recently and it’s been a hard 2017. My biggest goal is to succeed in school, lose weight,and become more outgoing!plus I would love to win because I like being creative and am inspired to do what you do! To truly LIVE every minute of every day and to trust God with all of those minutes! To grow and have more confidence as an artist. To stop putting myself down and learning to accept compliments. Lose weight and have better sleeping habits. One of my big goals, is to learn the art of calligraphy! Because I like old school. I enjoy writing letters and cards to my family back home and to my future mother-in-law. I am really looking forward learning the skill amd love the art. One of my goals is to enjoy my new hip! For the first time in years I can move without agony and I plan to celebrate a whole new life. Welcome 2018! Manage my time better so I can get more things done. Hmmmmm . . . . . practice brush lettering annnnd get my son graduated from High School. I always wanted to learn calligraphy but didn’t have enough time for it, now I’m learning brush lettering and I can apply the same principles to calligraphy and I’m excited. Purge junk and become more proficient in calligraphy. My goal for 2018 is to simplify my life. Hard purge of excess stuff that I don’t need. Spend more time to meditate, letter, help others. My goal is to take a watercolor class. I would like to move or change jobs! Biggest goal for 2018 is to become debt free and get my credit in better shape!! My goal is to make my first large album ! So excited since I have heaps of photos to use up. Wow! 2018 will be the year of big changes:work,home,town. Will be enough 365 days? It’s a tie…exercise more and declutter. One of my big goals for 2018 is to bring back the creative side of me. She’s been put on the back burner for quite some time now due to family issues and responsibilities. I’ve missed her so much! One of my biggest goals is to take better care of myself. Start walking every day and watching what I eat! Purge the clutter and live more simply. Make some new friends. Enjoy life more. Clear out the clutter, pay off some debts, so I can make time and space to be more creative. I have a job interview tomorrow, so my big goal to start a new job. The bigest goal for 2018 is to continue my education! To live simply! Use what I have, be organized be mindful and enjoy! My big goal for 2018 is to continue a daily walking routine but add stretches. My biggest goal is to slow down….stop taking on more and to spend more time with my family enjoying the little things in life. I would like to start a no waste path. I’m motivated, I hope to do it! One of my goals in 2018 is to become better organized so I can fit in all the things I love tod do, like visiting people and crafting. To get my computer/hobby room clean! Become a better mom and wife and finally graduate college!! I need to eat healthier in 2018. Honor my body through becoming fit, acknowledging when I’m tired, eating healthy. To get healthier for my little boy. I want to teach him to be healthy!! Lose another 40lbs before my May wedding!! My biggest goal is to complete The Whole 30 diet plan to cleanse and get rid of bad cravings. To take life one day at a time, make things as best as they can be. My goal in 2018 is to reunite my family. In 2018 I hope to start an Etsy shop for my wood burning products, and take a weekly Skillshare class to up my watercolour and blackline drawing skills. Sooo excited to now be getting paid to be creative. My husband and I are retiring from craft fairs this year! I have purchased all the items I need to learn handlettering. I will start mid-January on the basics and practice, practice, practice! Be a better me! And move back to Vancouver British Columbia and start my own business !!! Stay healthy and ‘don’t sweat the small stuff’. To get healthier and to set aside time every day to practice lettering. To learn more lettering and practice practice practice!!! Everytime I do Kelly’s homework her advise flashes in my mind. “No comparison. Also I love doing origami. And that’s on the list too. My big goal is to actually use my craft supplies! One of my goals is to make some serious headway with scrapbooking. Back to 2008 I have pictures just sitting on the computer. I’m going to forget the reason for why I took some if I don’t get the memories down. Try new food recipes, practice brush lettering so I can write the next Christmas cards and have por patience. This may sound trite, but I definitely want to get healthier in 2018 to take care of myself and also to teach my children healthy habits. My goals usually involve organization at home and work! I’d like to sneak out more time to practice lettering and work on my art. Always want to study my Bible more and share the good news. My husband and I are starting a business where he makes pallet wood home decor and I sand, stain, and write on it. Our goal is to make enough pieces to sell at a craft fair this spring. A big goal for me is to be more deliberate in my daily art work and practice. My two biggest goals are to get certified as a Medical Laboratory Technician and also start a really good foundation in training my youngest horse. My biggest goal is to get more organized. I recently went down to part time work which I’m loving, but I haven’t gotten into a groove yet so I feel I’m accomplishing all I want to. To work on my creative processes! Learn calihrafy and lose weight. A huge goal for 2018 is to continue my journey towards living a minimalistic life (Brush lettering supplies not included in the minimalism – LOL). I hope by the end of 2018, I’ll finally be fluent in Spanish! I’ve been studying it for about 2 1/2 years now. Start a business of my own and moving to a better apartment. My biggest goal for 2018 is selling my house and downsizing. The challenge in this goal is moving to a smaller living space while expanding my craft space! One goal I have for 2018 is to establish a regular Miracle Morning habit. My goal is to pursue a more minimalistic lifestyle. I’ve been following others who have done it and it seems very appealing. The biggest goal is to do videos – I purchased most of what I need but not liking my stand so I’ll have to get that piece and then it’s practice x 3! My big goal for 2018 is to call more people versus text and email. I think we have lost the art of talking and I’d like to bring it back. In 2018 i am going to so many places for vaccay with my mom dad😊. To be calm and happy. Main goal is to get fit and healthy and secondly continue on with calligraphy – learning Copperplate and Spencerian. Get healthy physically and financially! pay off my student loans! I have traumatic brain injury for the past 2 years, so I had to put my career on hold. My goal for 2018 is to be able to work again! I never tell my goals out loud but this year I have a big one! I have been very sick for several years but before I got sick I started to clean my craft storage room. Almost everything is spread through the basement, some packed in marked boxes. For 2018 my goal is to get my room organized so I can once again go down to stamp and scrap to my heart’s content in the back half of the basement which is my designated craft room. A monumental task since I have been collecting for over 25 years but I am determined and that is half the battle! My biggest goal for 2018! To get healthy and continue my journey of being my best me! In 2018, my goals are to continue eating healthy and work on doing yoga more. Plus work diligently on my hand lettering practice sheets. I want to see improvement. My goal is to thrive for a better me. Think positive and in general, love me for who I am. My biggest goal is to be more intentional with those in my life. I want to make sure that those in my life know that I care for them. My main goal is to resume a regular walking habit. My big goal for 2018 is to pick a wedding date and plan my wedding to my Fiance :). My biggest goal is to get into Medical School. Becoming a doctor has always been my dream. I would also like to spread more positivity. My goal is to work on my online workshops which I have quite a lot of them! Sketching every single day, don’t give up. My goal for 2018 is to stop thinking and start doing (I’m awesome at the planning stage, but I get hung up in the details and don’t really ever start). I guess you could say I need to be more productive when it comes to personal projects (crafting, fitness, decluttering). That’s a lot – I’ll have to narrow it down. Hmmm…. finish a craft class! Draw more, write more, read more, and help more! One of my big goals is to get back to blogging on my own site. (I’m currently running a blog & social media for my church…but my personal stuff is gathering dust). so that would be fantastic! I want to spend more time scrapbooking especially my nieces wedding album! One of my goals is to learn to play my ukulele that I recently got! One of my biggest goals for 2018 is to run a half marathon. It was on my goal list for 2017 but was unable to do it due to injury so I’m going to try and do it this year. To become more spiritual. Focused on serenity within, and the health of family. 1. To better care for my health by paying attention to what I eat and also work out more. 2. To lose the post twin pregnancy jiggles as much as I possibly could. To promote our furniture business of giving old furniture new life as well as making some original hand crafted pieces. My main goal for this next year is to focus on the things that make me happy. My goal for 2018 is to move! And to brush letter better. I want to lose weight in 2018 and also develop better crafting skills, including lettering!